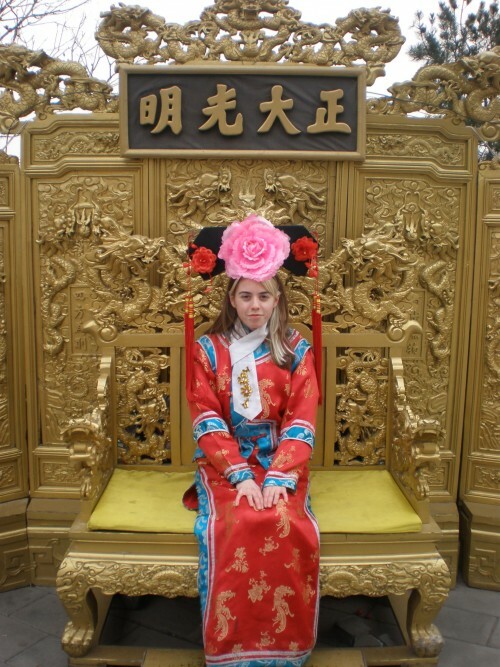 Dressing up in traditional get-up and having your photo taken at crowded tourist sites is a popular past time in China, and something that no Chinese person has ever been able to fully explain to me. It’s a bit like cosplay, but more square. Chinese tourists dress up in traditional costumes at the foot of Jade Dragon Snow Mountain, Yunnan. Tourists line up to dress up and pose against a glorious backdrop. A couple poses in a park in Chengdu. This is by far the best one right? Just look at her! I had a try myself at Beihai park years ago. I didn’t get it. NB: This photo is appalling. My half Chinese boyfriend did. 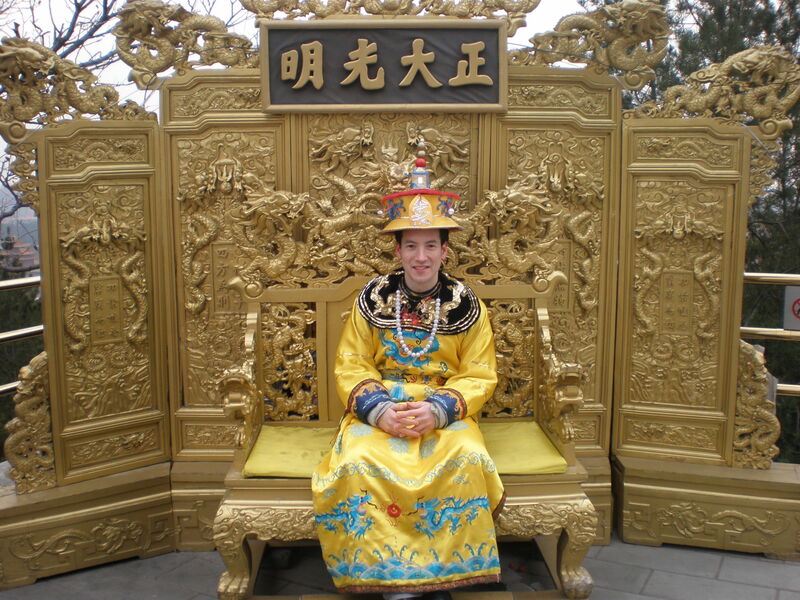 BF really enjoyed his brief moment as a Chinese emperor. This looks like so much fun to do!! Lovely photos! !